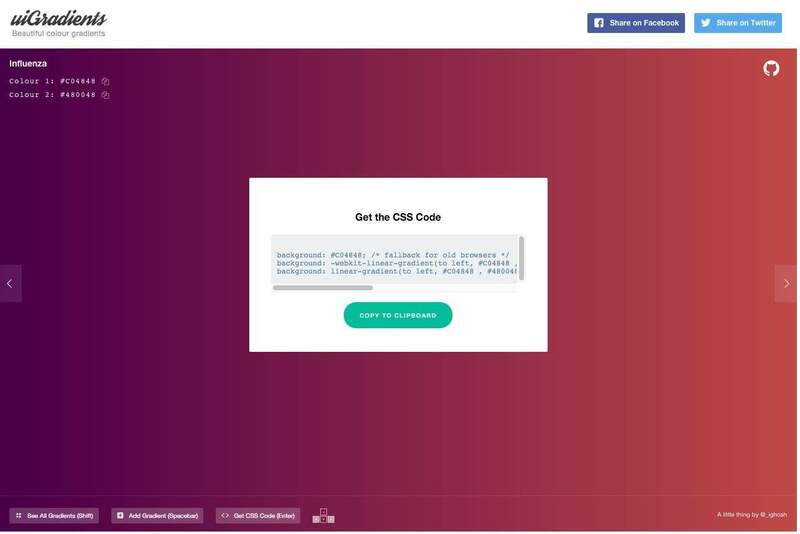 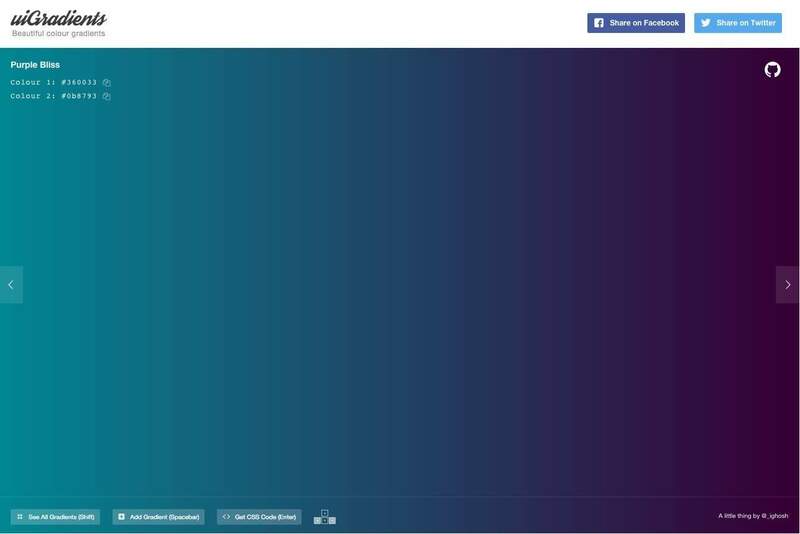 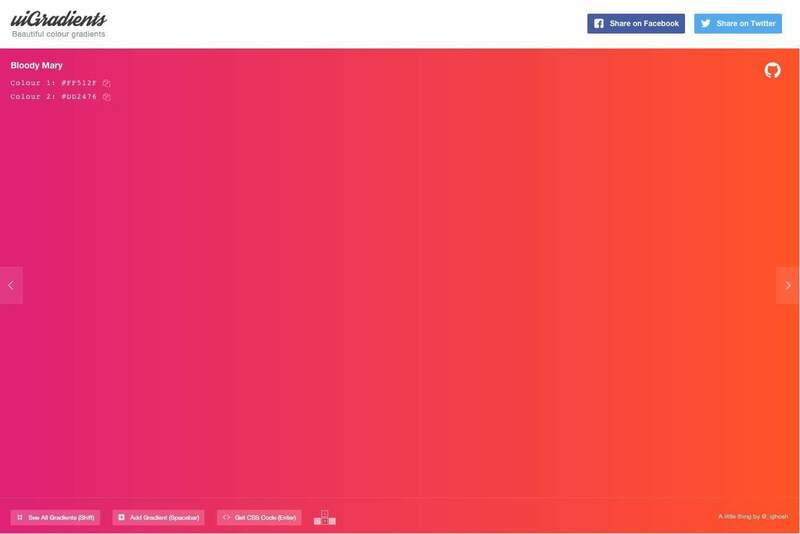 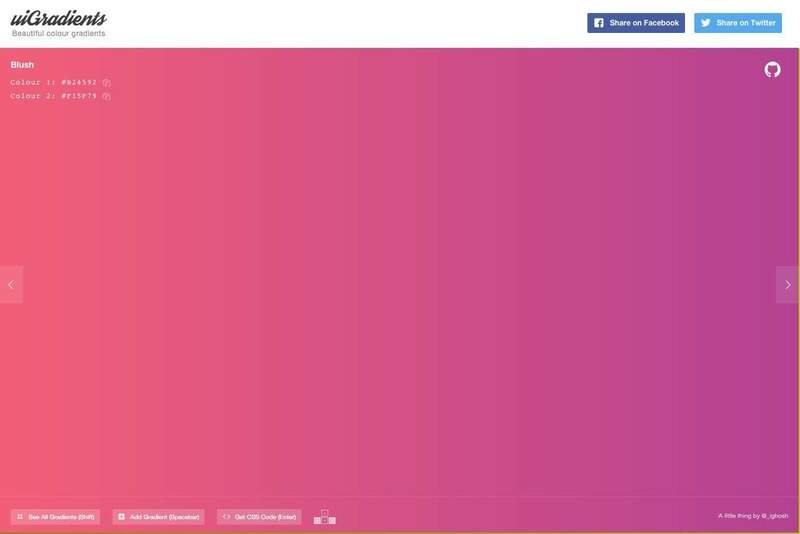 uiGradients: Beautiful Colour Gradients & CSS Code, by Indrashish Ghosh (@_ighosh), is certainly some very pretty, and quite useful, eye candy that will please many graphic and web designers. I’ve had this lovely website bookmarked for a few weeks now, after initially tweeting it; it’s been in my ‘to blog’ list until now. 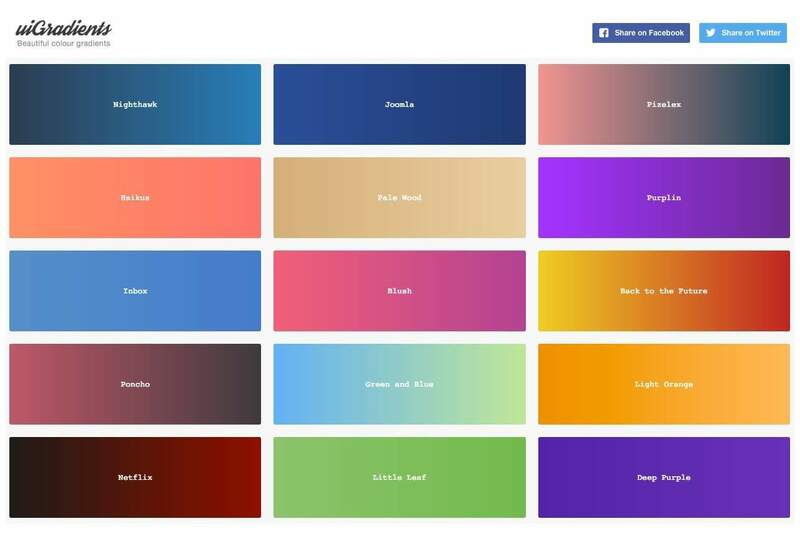 Christmas is all but here, and I wanted to post something colourful and useful. 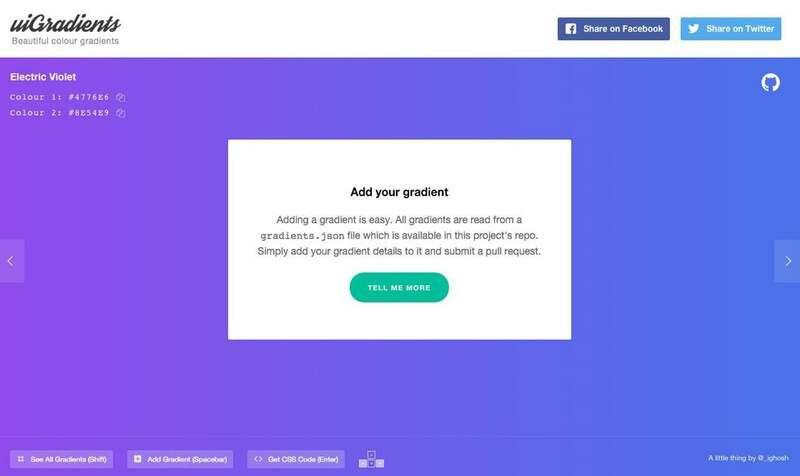 If you struggle to come up with pleasing gradients for your designs, then uiGradients is worth bookmarking. It’ll allow you to select from a healthy library of colour gradients from which to bring your web designs to life.